Simplified Retreat: Our whole team works remotely, and this weekend is the first time EVER we’ll all be in the same place! Follow along with us on IG for lots of behind the scenes of #TeamSimplified! Our NEW Name: Yesterday was a BIG day over here. For all of the details on our new name change to Simplified, head to our most recent post. Kate’s 3-Minute Make-up Routine: The best make-up routine for when you just don’t have time! 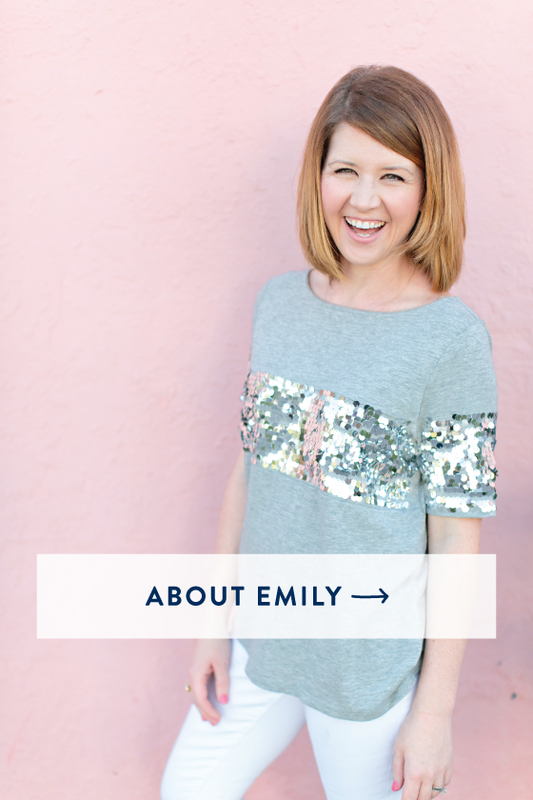 Emily’s Favorite Backpack: Simple, classic, and so practical! The Cutest Pineapple Tee: This t-shirt is perfect for running errands or chasing little ones around at the park. So cute! 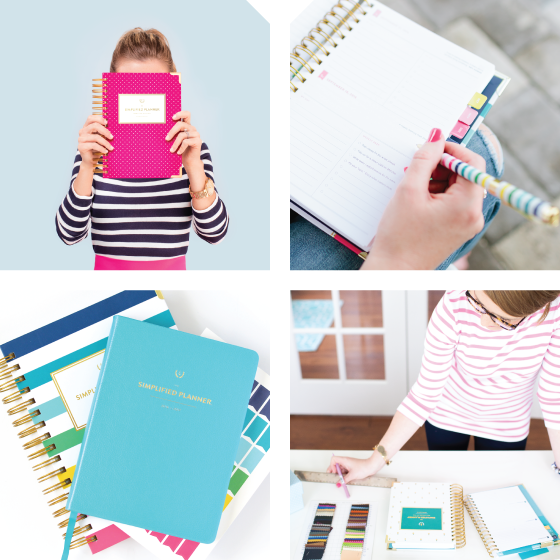 Dry Erase Collection: Have you shopped our new Dry Erase collection yet? We’ll be restocking the sold out products soon, but there’s still to get one of the others before they’re gone! Classic Gold Necklace: This necklace is so simple and classic, and it goes with everything. Under $40! The Softest Cardigan: Warning: this is on sale, but still a little bit of a splurge! The quality and versatility of it make it worth the hefty price tag. We’ve never felt a softer sweater! Our New Team Member: We are SO excited and honored to announce our newest team member, Jessa! Head on over to our IG stories to see more fun facts about her. Our February Playlist: Don’t forget to listen along to our February playlist! You can sign up for our newsletter to receive a new playlist in your inbox each month. The process of simplifying your life is a BIG one. It’s so freeing and exciting and it’s HARD WORK. Our 31 Day Simplicity Challenge features one step for each day that can be completed in 15 minutes or less. Physical clutter = mental clutter, so both of those areas are addressed throughout the challenge. 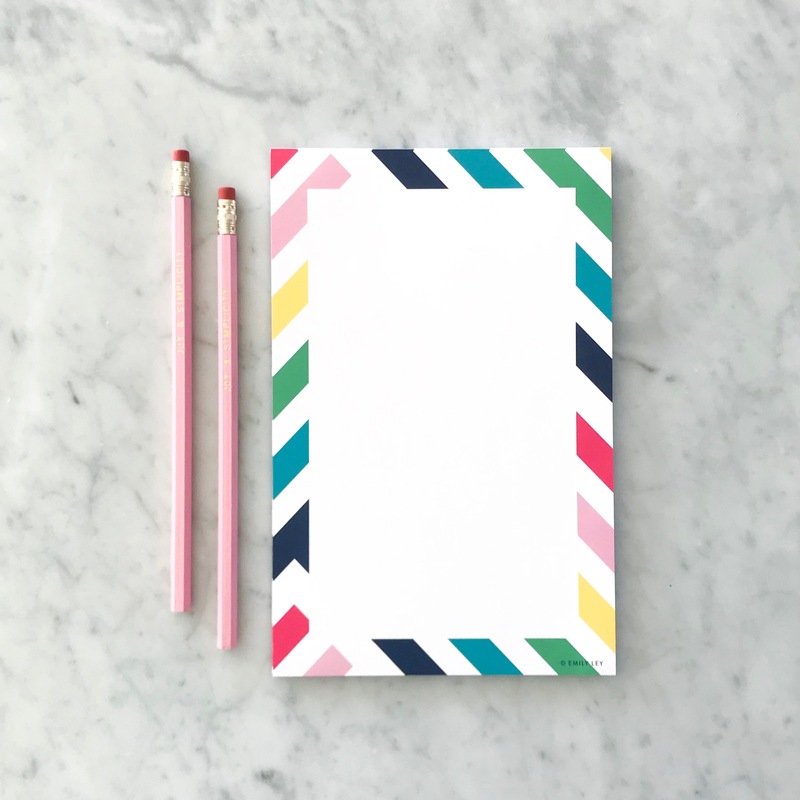 At the end of the challenge, you’ll be able to breathe easier knowing that you’ve completed the process of purging, decluttering, and organizing your life to make margin for what matters! 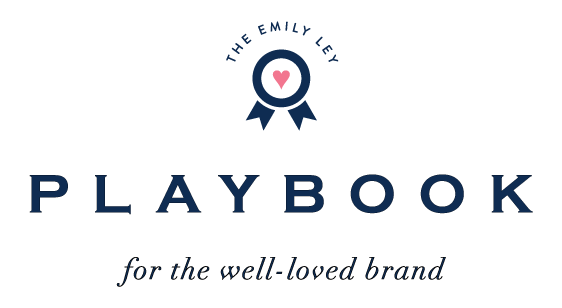 For daily encouragement and extra tips on the process of simplifying, join our Simplified Planner Community Group. 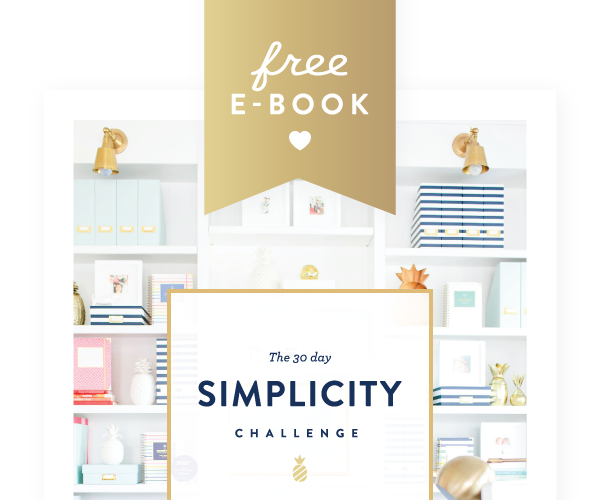 To sign up for our newsletter and receive a FREE printable e-book of the challenge, click here. No. 1 of 31: Walk your home with a trash bag or five. Be ruthless. Papers. Receipts. Tags. Empty bottles. Go. No. 2 of 31: Go through your kitchen drawers. Do you have three carrot peelers? Two ice cream scoops? You only need one. No. 3 of 31: Clean out your fridge, pantry, and spice cabinet. Check expiration dates and throw things away. Make a list of restock needs as you go. No. 4 of 31: Simplify your phone. Delete old contacts and unused apps. Refresh your wallpaper and lock screen. No. 5 of 31: Organize the Notes app on your iPhone to hold lists of all kinds (books to read, hashtags you use, or other information you often need to retrieve). No. 6 of 31: Use the Reminders app on your iPhone to set alerts for routines or habits you’re trying to create (IE: take vitamins, put phone away, go for a walk). No. 7 of 31: Consider reading as a brain break. Make a list of 10 books you’d like to read this year. No. 8 of 31: Walk your house with a donate bag. Schedule a pick-up or drop it off as soon as the bag is full. No. 9 of 31: Start the habit of throwing a small load of laundry in every morning. No. 10 of 31: Set a recurring alarm (or use the Bedtime feature on iPhones) for every weekday. If you’re letting your kids wake you, set it for one hour earlier. No. 11 of 31: Go put gas in your car today. While you’re there, clean out your car. Throw trash away. No. 12 of 31: Buy a few birthday cards (and small gift cards). Keep them on hand for birthdays that pop up that you’re not prepared for. No. 13 of 31: Put your number on the Do Not Call list. Visit donotcall.gov or call 1.888.382.1222. No. 14 of 31: Do something with all those precious photos and videos on your phone. Print. Back up. Store. No. 15 of 31: Consider the amount of INFORMATION coming at you all day. What can you turn off to quiet your mind? Turn off the television. Perhaps (gasp!) take a break from social media. No. 16 of 31: Identify “pain points” in your day (IE: kids getting shoes on in the morning). 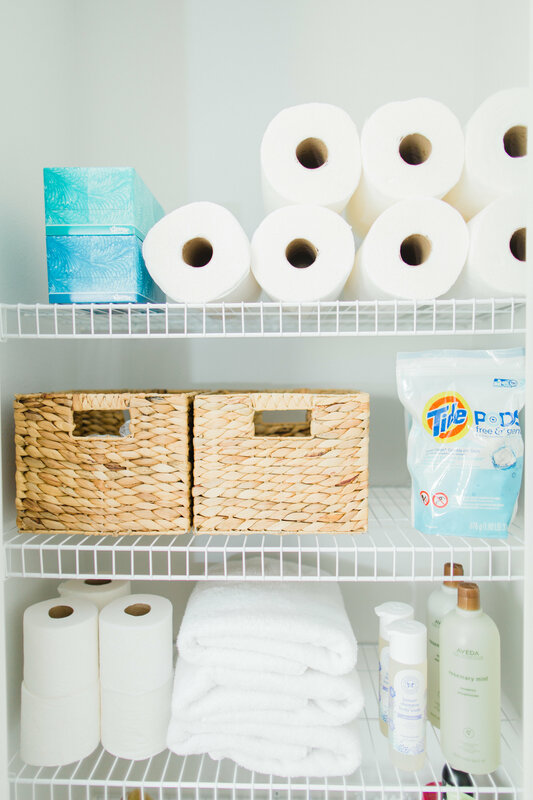 Alleviate these (IE: put a basket for shoes near the front door for easy access). No. 17 of 31: Dump out your purse. Throw away trash. Create a little bag of essentials. Make your bag work for you. No. 19 of 31: Clean out your medicine cabinet. Trash anything expired. Restock essentials. No. 20 of 31: Detox your social media feeds. Follow inspirational accounts. Unfollow anyone draining. Are there platforms you can quit? No. 21 of 31: Go through your credit card and / or bank statements. Identify any “subscriptions” you forgot you had and don’t need and turn them off. No. 22 of 31: Clean off your desk and wipe it down (and your keyboard). Ditch clutter. Keep only the essentials including your computer. No. 23 of 31: Clear the clutter on your computer. Delete unused files and organize important ones. Empty the trash. Refresh your desktop wallpaper. No. 24 of 31: Take inventory of the mail coming to your mailbox. Visit directmail.com to remove your name from lists. No. 25 of 31: Make a list of ten go-to meals. Tape it to the fridge for simple meal planning. No. 26 of 31: Schedule a vacation or stay-cation for some time this year. No. 27 of 31: Organize your inbox. Search the word “unsubscribe” and remove yourself from non-essential lists. Try Unroll.me. No. 28 of 31: Using a large piece of paper or poster board, make a list of all your commitments. Which ones can you say “not now” to? No. 29 of 31: Create your own weekly prep-list with tasks that make you feel prepared for the week ahead. No. 30 of 31: Make a list of household items you use frequently. Stock up on these. Pay attention to BOGO sales. No. 31 of 31: Rest. Schedule 30 minutes alone once a week. You give away what you put in. Take care of yourself. My goodness. What an incredible few days it’s been. I’ve been able to meet and hug so many new (and old!) friends in Lexington, Nashville, Atlanta, Charlotte, Birmingham and, tomorrow, Dallas. It’s blown me away, really… and your sweet words and encouragement have meant so much to me. Traveling is NOT something I’m good at… if I’m being honest. I LOVE the signings, but the in-between… the airports, the rental cars, the hotels, the flight delays… I’m a home-body. :) And proud of it! Haha! If I could invite you all to my house, I would. That would be fun!! In fact, one day, maybe we’ll plan a conference of sorts and have everyone come visit. I started planning for this whirlwind 8-day, 6-city, 7-signings trip months ago. I wanted to make it as easy as possible and I wanted to really take care of myself this time so I didn’t get home burned out. I’ve learned, over the last few years, that I’m an extroverted introvert. Meaning… I LOVE making new friends…. I love being in big groups and connecting with people. And then when that’s over, I crave solitude. Quiet, alone time. Luckily, my husband knows / loves this and is the same way. He works in sales. (Hmm… I wonder if a lot of “extroverts” are this way)? 1. Plan for EXTRA down time. Don’t overpack your schedule. I planned one night out with my dear friends Christopher and Gabe in Atlanta and that’s it. It was so much fun. I’ve known Christopher for 10 years and was thrilled to (finally!) meet Gabe in person. But the rest of my trip, I left the margin in my schedule alone for catching up on The Crown on Netflix, listening to some good audio books (didn’t pack “actual” books since I didn’t have much space in my carry-on), finding amazing coffee shops (like this one), and sleeping. I slept 14 hours last night. Not even kidding. Plan for more-than-usual down time to take care of yourself while traveling. I don’t know why – maybe its the change in routine – but traveling takes lots of extra energy. Thanks to the Westin Nashville for the amazing spa experience… what a treat during this trip!! 2 pairs of jeans for events (soft, skinny jeans that basically feel like leggings). 2 pairs of leggings for travel (these are my fave and perfect for traveling, though NOT perfect for cold weather). 2 pairs of shoes: these booties for events, these sneakers for traveling. And then I had these boots that got shipped home bc they’re just too bulky for quick travel – though adorable. Socks and unmentionables to make it through the trip, duh. A hang-up toiletries bag with more than I needed (meaning, I packed things I probably don’t normally travel with – for a little more comfort: hand-cream, face-masks, etc). Bare minimum makeup in this bag set my team gave me for Christmas. I LOVE THIS BAG. It’s super high quality and it sits “open” perfectly so you don’t have to dump your makeup out on a hotel counter (germ-a-phobe). Hair straightener (Didn’t pack a blow dryer since hotels have one. I really miss mine). A big jacket (I wore this on the plane to save carry-on space; got mine on SUPER black friday sale). A backpack (<- if you follow me on Instagram, you’re probably tired of hearing about how much I love this bag… BUT I LOVE THIS BAG. It was a gift from my husband for Christmas and I’m obsessed. It’s so high quality, so perfect – with a zillion pockets – and just so cute). I didn’t pack a purse. I slipped a clutch into the bag for anywhere I’d need to carry an actual purse, which has basically been nowhere. It has a laptop pocket too, which is awesome. In my backpack, I’ve packed: my laptop, laptop charger (in a side pocket), my phone / apple watch chargers (in the other side pocket), a phone charger block-thing (you know? the thing that charges your phone without being plugged in), my wallet, my big scarf, a few snacks [RX bars and such], and an empty, reusable to-go coffee cup), some Emergen-c gummies to help my immune system a bit while traveling and hugging so many people). 3. Use something to keep all travel details together. I LOVE TripIt <- there is a free version and a pro version. I use the pro version bc I have to travel a lot for work. It allows you to forward any hotel / rental car / flight into to an email address and it automatically updates your travel itinerary. They alert me if anything is delayed, auto-text me when I get to an airport to tell me which gate I have to run to (haha), and just hold everything in one place. I have the app on my phone and I love it. 4. Delta Sky Club. If you travel a lot, take my advice here… the American Express Platinum Card is everything. (This is not at all sponsored, I just seriously love this card). We have one for the business and one personally. We love it because a) it has GREAT perks and b) AMEX gives you a great analysis of your spending at the end of every year. It costs $550 per year, BUT the benefits basically pay for it. AND, if you are active duty military, AMEX will waive the fee!! So, we put E V E R Y thing on our AMEX and pay it off at the end of every month. We try and keep as much as possible on this card bc keeping everything in one place helps see / track your overall spending. Plus, knowing we’re going to have to pay it off at the end of the month helps us remember to watch it like a hawk. Now, there are a zillion perks, but here are some of my faves: $200 airline credit (yearly), $200 Uber credit (yearly), Clear / Pre-Check credit (every few years). 10 Go-go inflight internet passes (yearly). And my favorite benefit: access to a TON of airport lounges, including Delta Sky Club. The DSC is my home-away-from-home when traveling. They’re usually uncrowded, have nice / clean bathrooms, a place to charge #allthethings, big comfy chairs, and complimentary breakfast / lunch / coffee / bar / etc. Honestly, I basically will go straight to the airport to eat breakfast or lunch here. And they have so many healthy options. I’ve seriously saved so much money with this benefit. And when you’re traveling with kids, it’s the best. It’s just a place to rest in otherwise insane airports and I’m really grateful for it after 8 days traveling. :) Here is a referral link if you’re interested. OH, someone just told me AMEX also gives you Global Access so that when you’re returning from international flights, you skip those HUGE lines! 5. Get TSA Pre-check or Clear. Waiting in lines is the worst. With AMEX reimbursing our fees for this, it was a no-brainer. 6. Leave a little happy at home. Leaving my kiddos is the hardest thing ever — and not something I take lightly at all. I don’t do it much anymore, so when I do, I make sure to leave things as buttoned up at home as possible. I married super dad, so that’s a win, haha. And, thankfully, Nana came down to stand in and take care of everyone. I also continued a tradition I started when Brady was an itty bitty baby. Whenever I travel, I leave little happies at home to put a smile on their faces everyday. I went to Party City before I left and got little prizes – their candy is 15 for $1.00 and their little prizes are $0.25. Yes, they’ll get thrown away or lost or whatever, but for a minute, they absolutely love it – and that’s worth it. I put them in little bags (also available at Party City) with numbers on them counting down until I come back. I’m so excited for Dallas tomorrow! I’ve been to Dallas before, but only for a hot minute. Can’t wait to visit the Barnes & Noble there!! Thank you so much for all your love and support of A Simplified Life. The movement toward simple and meaningful in a world that often feels so busy and chaotic is so much bigger than me. I’m so proud to be part of it and so grateful for all your kind words and for all your encouraging stories. Let’s keep it going!! We’re halfway through our Simplicity Challenge. If you’ve missed any, you can download a free copy of the ENTIRE challenge here! See you soon, Texas! And to my babies – TWO MORE DAYS!! I saved this topic for last, on purpose. Getting your heart in the right place before embarking on a new year is so key. I love using my Power Sheets for digging in to how the current year has gone and what my hopes and dreams for the new year actually are. I feel really focused after digging into its pages. Primarily, I like to look back at the year that has just passed and identify what worked and what didn’t work. For me, 2017 was a much slower, calmer year than 2016. I spent much of 2016 frazzled, anxious, and just trying to keep up. But embarking on 2017, I committed myself to a major overhaul. I was tired of living a life that felt like it was on fire. I wanted my kids to see happy mommy. I wanted them to see the version of me that has time to sit and play—but more than that, I wanted them to see the version that genuinely has the brain space to be interested in the Lego creation they’re building. I knew that meant I needed to learn to rest and I needed to learn to embrace margin. I also needed to simplify our lives. And thus, the journey of writing A Simplified Life began. It was that commitment—that sincere, gut-wrenching craving for something MORE and LESS—that brought me to this day, now in late 2017. And oh my heart, do I not regret it. I don’t regret that moment when I said, “everything may fall apart, but there are worse things.” I don’t regret the hard work of saying NO. I don’t regret the pain of letting people down. I don’t regret the bravery I had to muster up to step into a gym and learn to build outer and inner strength. I made a lot of hard choices, and I found myself with four very grateful people in front of me—Bryan, Brady, Tyler, and Caroline. And life was never the same. I don’t have a quick three tips for you on this front. Because simplifying your heart, getting a clear focus on what you want, and doing the hard work is anything but simple. But my best advice is to write. Begin writing down the way you feel. Last year, I felt anxious. Tired. Frustrated by everything. I felt overwhelmed, overworked, and overcommitted. Things that should be fun didn’t feel fun. I was on the fast train and I wanted off. Have a good cry if you need to at this point. I know I did. Then begin by writing out the life you want to have. And so it begins. Set your sites on something higher than where you are. And put one foot in front of the other. What will you say YES to this year? And what will you say no to? Commit and be ready to overhaul a few parts of your life. Your home, your schedule, your routines, and even your heart. 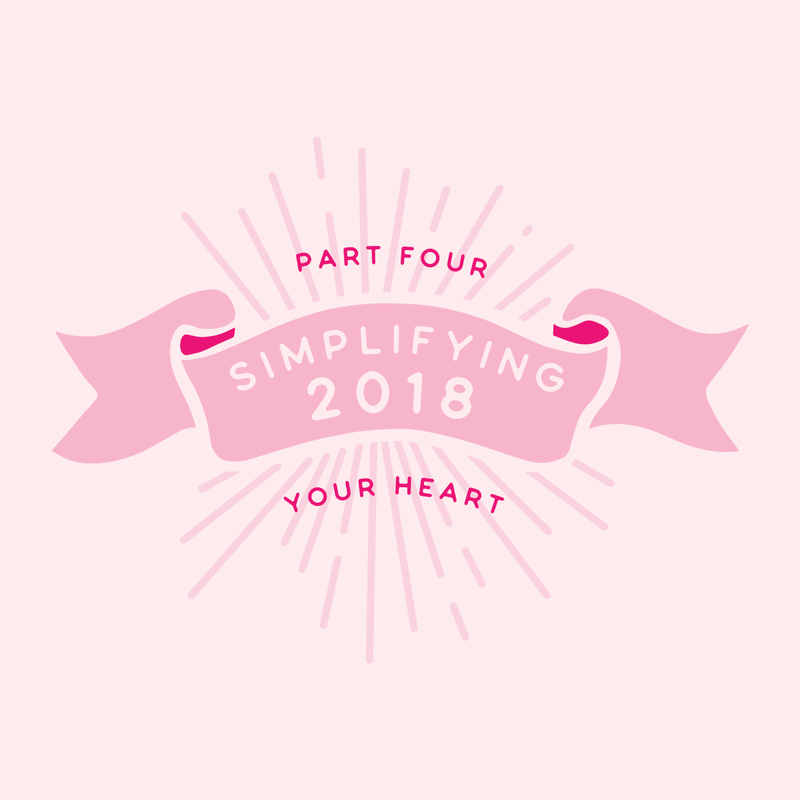 Check out Part 1 (Simplifying your Home), and Part 2 (Simplifying your Schedule), and Part 3 (Simplifying your Routines) of our Simplifying 2018 series. 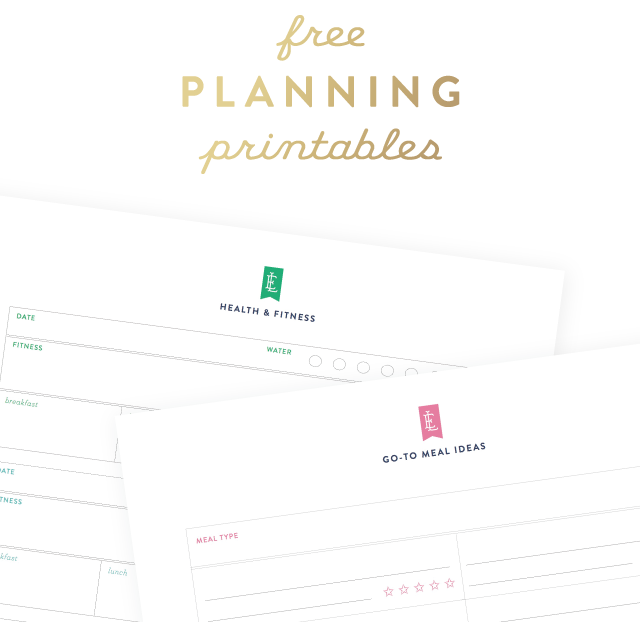 And, if you haven’t picked up your Simplified Planner yet, now’s the time! Orders over $100 get FREE domestic shipping until January 2! Get yours before they’re gone! AND my new book, A Simplified Life, is available here! Looking for more inspiration this week? 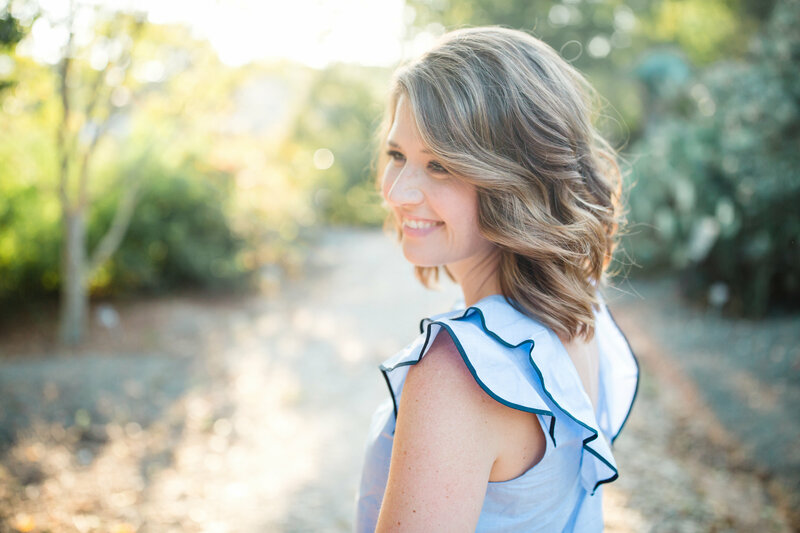 I had a blast on Jen Hatmaker’s podcast this week as well as Jesus Calling! Also, check out our new FREE Community Group! This has been on my heart for a LONG time. The process of simplifying your life is a BIG one. It’s so freeing and exciting and it’s HARD WORK. But it’s best done in community. With friends who can cheer you on, hold you accountable, and give you ideas. Friends you can ooh and ahh over before and after pictures with! Friends who can remind you it’s worth it to keep going when the clutter seems like too much (both physically and mentally). 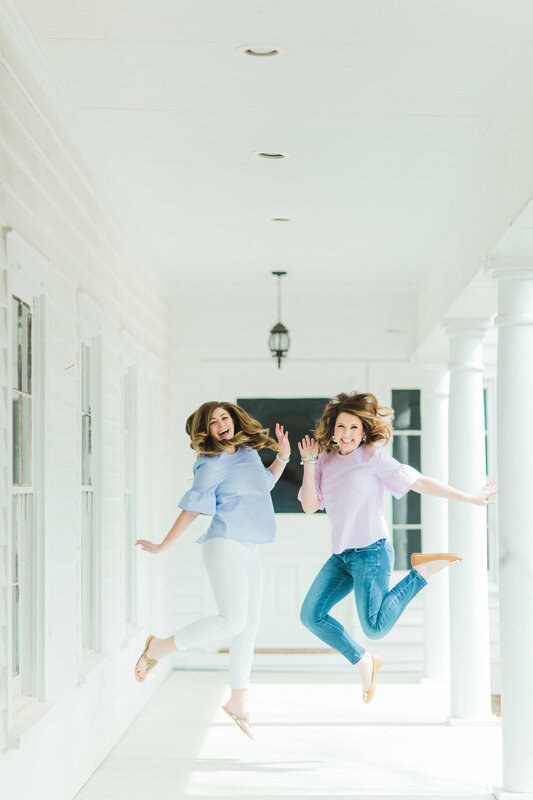 I’m THRILLED to announce we’ve just opened a FREE Simplified Life Community Group on Facebook (I know, not everyone is on FB – but its the easiest, *simplest* place to host such a thing – so get on FB even if just to join us). I’ll be there too and just can’t wait to get to know you all better. Hop in before we start our Simplicity Challenge January 1 and introduce yourself! Join here. Win one of 40 (!!!) 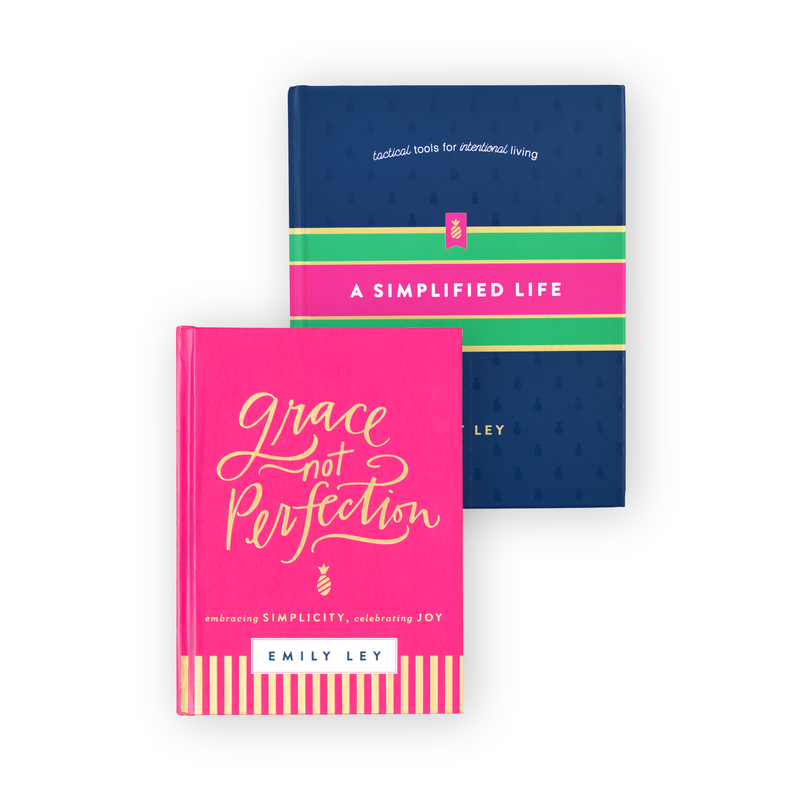 prize packs, including special-edition “Joy + Simplicity” pencils and an EL notepad! Giveaway winners will be contacted on Monday, January 2. Open to U.S. Residents only (sorry, International friends! ).